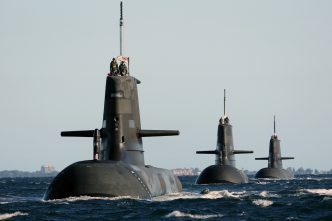 In the midst of the discussion about the Royal Australian Navy’s future frigate and submarine programs, it’s important to acknowledge the significance of their continuous nature and to remember that they have design and building elements. While the qualities of the Hunter-class frigates and Attack-class submarines are significant in and of themselves, they must be understood as part of an overall national endeavour. 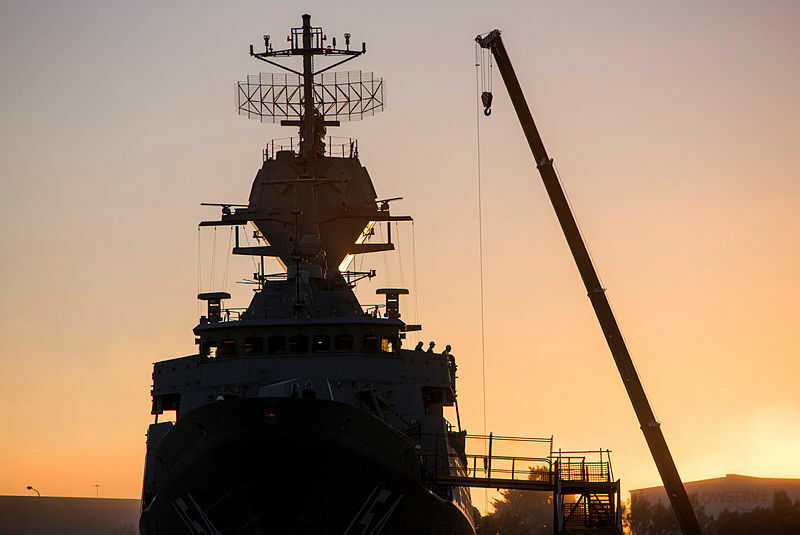 Australia has the critical mass to maintain a continuous program of warship design and construction and, as a result, can obtain greater value for money. In this two-part series, I’ll look at the opportunities to get better value for money and suggest a way to understand that critical mass. At first, it might appear counterintuitive to imagine that we’re going to get better value for money by maintaining a continuous building program; the sums of money to be spent are very large. However, much of the commentary has been focused on what can be easily seen and understood—the cost and the schedule. The cumulative expenditure on warship-building over multiple decades is easily reduced to a single, eye-catching number. However, as all economists know, value is a function of both the benefit derived and the cost. And, as all public servants adhering to the Public Governance, Performance and Accountability Act know, value for money is one of the most important principles for the expenditure of public funds. So how does Australia get better value for money? By obtaining greater benefit, and greater military capability, dollar for dollar, from continuous warship-building than from the stop–start methods of the past four or five decades. The greater benefit—beyond the benefits that come from direct ownership and operation of the vessels and systems themselves—is found in at least three areas. First, at a strategic level, we will be more agile. The maritime component of our national military capabilities can be more quickly and efficiently scaled and shaped according to our strategic circumstances. This gives us greater strategic weight, which will be taken into consideration by allies, neighbours, partners and potential adversaries alike. 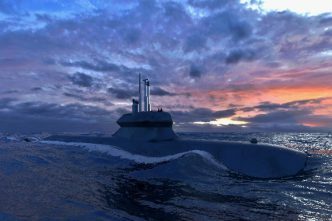 As the continuous program of design and construction reaches maturity (for submarines, frigates and patrol vessels), the government will have more options to respond to changes or opportunities in our strategic environment. Essentially, our national OODA loop (John Boyd’s elegant ‘Observe, Orient, Decide, Act’ description of command decision-making) will be much tighter, making us a more valuable ally and our defence force more formidable. Significantly, the options can be tailored to the change in environment (submarines, frigates and patrol vessels provide different levels and types of capability), and any adjustments can have a prompt impact on the strategic environment, because an active production line can adapt quickly. Second, a continuous design and construction program will give us vessels that are a closer match to what we actually need. We’ll be able to innovate to get more of what is valuable to us and less of what is not, and to be fast followers or leaders of technology and practice. This highlights that the continuous production must also include a constant design effort, utilising batch-build and spiral-upgrade concepts where appropriate. Importantly, we’ll be able to vary the design and construction parameters over time as our environment and requirements evolve. We won’t have to stay bound to a contracted solution which made sense a decade ago. At an individual level, most of the design decisions seem quite simple, albeit significant. For example, the accommodation spaces in our ships will be designed to suit an all-volunteer, mixed-gender crew. That’s crucial to the Australian navy because of the time and money involved in training people, as well as the need to attract and retain capable and skilled personnel. It’s also important to remember that warships are sophisticated ‘systems of systems’, and not every system is wholly contained within the vessel. In an integrated Australian Defence Force, our vessels must be able to operate as part of a joint force. This affects almost everything we do, from air defence, to surface and anti-submarine warfare, to logistic, personnel and medical systems. 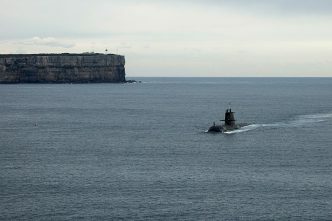 There’s value for money in understanding and incorporating these Australian requirements from the start, and not retrofitting them at considerable time and cost (not to mention increased technical complexity and risk of delay) into a vessel designed for another navy. The third benefit is found outside of the areas usually considered when assessing shipbuilding. 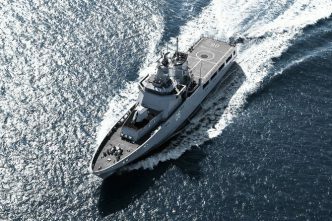 Once the continuous design and construction program reaches maturity, the warship production cycle will be more reliable and accurately predictable. This will assist the navy and defence industry because it will enable other parts of the system to be optimised—for example, the crew of a new vessel can be formed at the optimal time to take over that vessel, reducing personnel inefficiencies and time lost because a ship isn’t delivered on schedule. It will be important to document and, where possible, cost these benefits to provide a transparent demonstration of the compelling value-for-money case for a continuous warship-building program. Other efficiencies are likely to accrue as we move past the start-up phase, such as those that come from experience and learning. While these are essential to the overall value for money of the program, it’s important to remember they’re an adjustment to the cost of the program. The great value-for-money benefit to be gained isn’t so much about the cost (as important as that is); it’s more about the utility the nation obtains from acquiring its warships in this way. The second criterion for a continuous ship design and building program, critical mass, will be discussed in part 2. 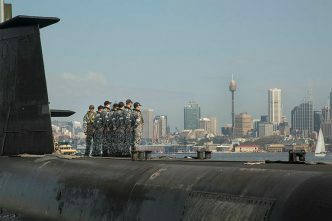 Alastair Cooper is a commander in the Royal Australian Navy and the deputy director of the Sea Power Centre—Australia. He is the author of several articles and chapters on naval history and military strategy. Image courtesy of the Department of Defence.